Seven times Formula One world champion Michael Schumacher will make a surprise return to the sport, as a replacement driver to the injured Felipe Massa. The German will drive alongside Kimi Raikkonen in the European Grand Prix at Valencia next month and it will be the first time that Schumacher will be competing in the sport since announcing his retirement back in 2006. I was meeting this afternoon with Stefano Domenicali and Luca di Montezemolo and together we decided that I will prepare myself to take the place of Felipe. Though it is true that the chapter Formula 1 has been closed for me since long and completely, it is also true that for loyalty reasons to the team I cannot ignore that unfortunate situation. But as the competitor I am I also very much look forward to facing this challenge. It will be fascinating to see how Michael will perform in the F60 – a car he has never driven – on a street circuit completely unknown to him. Though the prospect of seeing the most successful Formula One driver up against the likes of Raikkonen, Vettel and Hamilton will be amazing. Roll on August 23! Competing in Formula One can be tough, just ask Honda when last December the famous Japanese motor manufacturer quit the sport due to a lack of results. Fast-forward seven months on and we come to a situation where another major manufacturer is pulling out. This time it is BMW. Why are BMW withdrawing from Formula One? Dr. Norbert Reithofer, chairman of the BMW board, said that the decision was made after a refining of the company’s future strategy. The BMW Group will not continue its Formula One campaign after the end of the 2009 season. Resources freed up as a result are to be dedicated to the development of new drive technologies and projects in the field of sustainability. BMW will continue to be actively involved in other motor sports series. The landmark decision to restructure BMW Motorsport’s activities was made at the Board of Management’s meeting yesterday. “Of course, this was a difficult decision for us. But it’s a resolute step in view of our company’s strategic realignment,” explained Dr. Norbert Reithofer, Chairman of the Board of Management of BMW AG. “Premium will increasingly be defined in terms of sustainability and environmental compatibility. This is an area in which we want to remain in the lead. In line with our Strategy Number ONE, we are continually reviewing all projects and initiatives to check them for future viability and sustainability. Our Formula One campaign is thus less a key promoter for us. Mario Theissen has been in charge of our motor sports program since 1999. 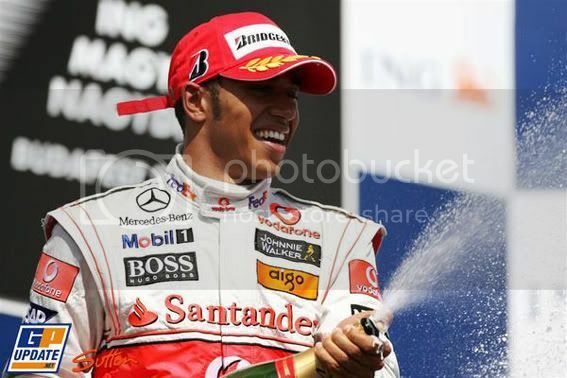 We have scored a large number of successes in this period, including some in Formula One racing. I would like to express my sincere gratitude to Mario Theissen and his team for this,” said, Reithofer. BMW will continue its programs in a number of motor sports series: BMW will appear on the starting grid in the touring car series and young driver promotion program in Formula BMW. This will be supplemented by BMW’s participation in ALMS, the American Le Mans Series, endurance races and close-to-production customer sports. Furthermore, BMW Motorrad Motorsport will continue its campaigns, with the super bike world championship leading the way. BMW achieved eight Formula One victories from 1982 to 1985 with Brabham. In 1983, BMW won the driver’s championship with Nelson Piquet (Brabham BMW). The last win with the legendary turbo engine followed with Benetton in 1986. Ten victories were scored during the partnership with Williams (2000-2005). BMW had a total of 19 grand prix wins and 33 pole positions before the BMW Sauber F1 Team era. In its debut season in 2006, the newly established BMW Sauber F1 Team wound up fifth in the constructor’s championship. In 2007, the German-Swiss team came in second after McLaren-Mercedes’ exclusion from the points standings. The 2008 season saw the team in the hunt for the world championship until the end of the season, winding up third. Polish-born Robert Kubica achieved the first and hitherto only GP victory in Canada on June 8, 2008. So far, the BMW Sauber F1 Team has taken one pole position (Kubica in Bahrain in 2008) and 16 podium finishes. The BMW Sauber F1 Team occupies the eighth spot in the manufacturer’s standings in the season presently underway. What a real shame that BMW are pulling out at the end of 2009. Yes, this season’s chassis – F1.09 – has failed to deliver in terms of lap times and championship points, but to pull the plug after one disastrous season even after several years competing in the sport is distasteful. Don’t forget the team actually won a race last year in Montreal where Robert Kubica took his and BMW Sauber’s maiden victory in the Canadian Grand Prix. By quitting the sport, it brings an end to a decade of continuous involvement since returning to the support as an engine supplier to Williams in 2000. BMW left Williams to take over Sauber in 2006 to form its own outfit and the company has poured significant investment into the sport, especially on its computational fluid dynamics supercomputer Albert II. At least BMW’s involvement in motor racing extends far beyond Formula 1, as it seems the Formula BMW junior single-seater championship will continue, along with the World Touring Car Championship. Though it remains to be seen whether the board members at Munich will also mean pulling out the other racing series in a further bid to cut costs. As for the current Formula One drivers, Robert Kubica and Nick Heidfeld respectively, these two have enough to offer in terms of experience. It will be fascinating whether Kubica or Heidfeld can get drives at other teams next season. But the most worrying aspect of BMW quitting the sport is whether others will follow. Toyota and Renault are the next two teams rumoured to leave, but for the sake of the sport, I hope the two manufacturers stay. And so ends BMW’s ten-year commitment in Formula One, first as an engine supplier and then as a full-fledge outfit. Who will take over the empty grid spot in 2010? Well, the Concorde Agreement has yet to be signed but the deadline to enter new teams has already been passed, so the idea of seeing the likes of Prodrive, Lola and N. Technology won’t happen. Lewis Hamilton scored his and the McLaren’s team first victory of the season after a strong drive in the Hungarian Grand Prix. Ferrari’s Kimi Raikkonen finished in a fine second – a poignant result with the Finn’s team-mate Felipe Massa still in an induced coma in a Budapest hospital – with Mark Webber continuing his impressive run of form with third for Red Bull Racing. This victory is a rich reward for the world champion after a trying and difficult season so far. The improvements at the previous race at the Nurburgring, in particular the double diffuser and front wing, has given Lewis the extra confidence to drive the Mercedes-powered car at the Hungaroring more quickly. Instead of wrestling with the car’s imbalance the aero upgrades has transformed the MP4-24 and this result has been justified by an on-form Hamilton. As for championship leader Jenson Button, this was a damage limitation race. The Brawn GP driver struggled with grip throughout the 70-lap Grand Prix and to finish seventh (and taking only two points) wasn’t ideal, but Jenson still leads the drivers’ standings as Formula One heads into a four-week summer break. Pole-sitter Fernando Alonso was one of the major runners to retire after a right-front wheel came loose following a pit-stop. The wheel completely detached itself from the Renault and the Spaniard had to nurse it back to the pits. Consequently the damage to the R29 eventually forced him to park it in the garage. What about Sebastian Vettel, who had the opportunity to reduce the points gap to Jenson Button in the championship? Well, the Red Bull Racing driver was forced to pull out from the Hungarian Grand Prix with suspension damage, due to a brush with Kimi Raikkonen. The incident at the first corner on the opening lap will be investigated by the stewards after the race. The Williams of Nico Rosberg finished in a solid fourth ahead of Heikki Kovalainen’s McLaren and Timo Glock’s Toyota. The latter’s performance in the TF109 was equally impressive when you consider Glock started the race down in 14th position. Button never had the pace to get near the top five and with Mark Webber finishing on the podium, the Australian is now Jenson’s nearest championship contender with 18.5 points. Jarno Trulli took the final championship point for Toyota after fending off Kazuki Nakajima’s Williams and Rubens Barrichello’s Brawn in the final stages of the race. As for Formula One rookie Jaime Alguersuari, the Spaniard stayed out of trouble and recorded a 15th placed finish. Despite the result, he should take satisfaction in beating his Toro Rosso team-mate Sebastien Buemi after the Swiss driver lost time with a mid-race spin at Turn 2. Hamilton’s victory at the Hungaroring showcases the remarkable turnaround in McLaren’s fortunes and it ends his miserable run of non-results as the defending champion. In addition, this is the first time a KERS car has won a race and it was the Briton’s second Hungarian Grand Prix win. Renault’s Fernando Alonso took his first pole position since 2006, though the qualifying session at the Hungaroring was temporary halted following a frightening incident involving Felipe Massa. Sebastian Vettel and German Grand Prix winner Mark Webber will start second and third for Red Bull Racing, while championship leader Jenson Button could only manage eighth for Brawn GP. Early pacesetter Lewis Hamilton lines up fourth on the grid in the much-improved McLaren. Even though the world champion missed out on the opportunity to qualify on the front row, his KERS system will give Lewis an advantage off the grid come race day. Perhaps he can score his first win? If that’s the case, it will be a rich reward after a difficult season so far. Saturday’s qualifying session was filled with drama and confusion, not only of Massa’s crash into the tyre wall in Q2, but also the official timing system going down causing some drivers to be completely unaware of where they had qualified. At the time of writing this post, Felipe Massa has been taken to a nearby hospital in a ‘stable’ condition. Any updates on the state of his injuries will be posted in the comments below. When Q3 eventually got underway, double world champion Fernando Alonso initially set the benchmark with the quickest time. Immediately Nico Rosberg in the flying Williams beat it. But just as the timing screens went blank, the Spaniard fought back and reclaimed pole with a lap time of one minute, 21. 569 seconds, to claim his first top spot since China three years ago. The Red Bull pair of Vettel and Webber came through to take second and third ahead of Hamilton’s McLaren, with Rosberg regulated down to fifth. Last year’s winner Heikki Kovalainen managed to avoid being knocked out in Q1 and Q2 to take sixth place on the grid. While championship leader Button only did one run in Q3 to line up eighth, in between Kimi Raikkonen’s Ferrari and Kazuki Nakajima’s Williams. Barrichello’s suspension issues left him only P13 on the grid (his worst qualifying performance of the season), while Massa had made the Q3 cut before his accident, so is classified P10. Sebastien Buemi has hinted that Toro Rosso will be making big strides with its new upgrades and he backed this up with a fine P11, ahead of the Toyotas. 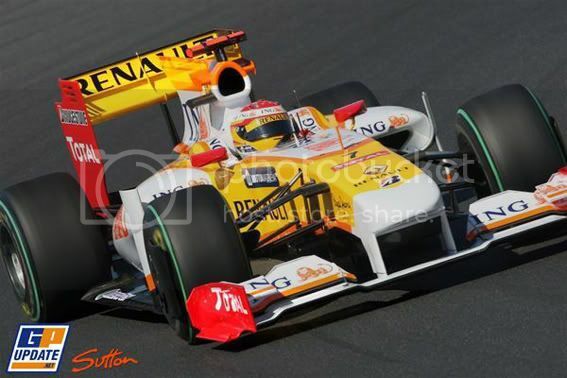 While the under-pressure Nelson Piquet Jr was only P15 for Renault. It was another nightmare qualifying session for BMW Sauber with Nick Heidfeld and Robert Kubica both eliminated in Q1. The pair are sandwiched between the Force Indias of Giancarlo Fisichella and Adrian Sutil respectively. As for Formula One rookie, Jaime Alguersuari, who will became the youngest man to compete in the Formula One World Championship, the Spaniard suffered an engine problem in Q1 that meant he was forced to pull over trackside. He will start his maiden Grand Prix from last. Not the ideal spot for a newcomer, but lets see how Jaime will do come the race. After eight years of competing in Formula One, Australian’s Mark Webber has finally won his first Grand Prix in a drama-filled German Grand Prix at the Nurburgring. Though the Red Bull Racing driver had to earn this victory the hard way following a drive-through penalty after making contact with not only Rubens Barrichello on the run down to the first corner but also the fast-starting Lewis Hamilton (which resulted in the world champion making an early pitstop due to a puncture). Webber’s victory came at the perfect moment as many questions were been asked by the media whether he could win a race against his highly rated team-mate Sebastian Vettel. This triumph not only has silenced his critics but after 130 races, Mark Webber has finally done it. He becomes the third Australian in the sport’s history to take the chequered flag (Sir Jack Brabham and Alan Jones were the others to taste the champagne on the top step on the podium). Sebastien Vettel finished in second position earning Red Bull Racing’s third one-two result this season. Even though the young German was expected to win his home race following his Silverstone victory three weeks’ ago, Vettel was simply outclassed by Webber. Nevertheless, by finishing in P2 Sebastian moves into second in the drivers’ standings just 21 points behind series leader Jenson Button. Ferrari’s Felipe Massa took his first podium of the season in third, ahead of Nico Rosberg’s Williams and the Brawns of Jenson Button and Rubens Barrichello. The Brawns were unable to challenge the Red Bulls at the Nurburgring and Rubens in particular was bitterly unhappy to be outraced despite leading from lap one. The expected wet weather never interfered the German Grand Prix but the opening lap was very eventful. Thanks to the KERS system available on the McLarens and Ferraris, which gives an advantage of 15 metres off a standing start, the KERS cars thrust forward. Lewis Hamilton – who started in fifth – actually was in the lead as he charged around the outside of Webber and Barrichello. The pair banged wheels as the Australian defended quite aggressively against the Brazilian. Into the tight right-hander of Turn 1 at the Nurburgring, Hamilton braked but at that moment he felt a nudge from the back. In fact, his rear-right tyre had made contact with Webber’s front wing endplate which resulted in a puncture. Lewis had to limp back to the pits, which ultimately ruined his race within minutes of the Grand Prix. The world champion would later on finish a lap down right at the back. Barrichello emerged from the Mercedes-Benz complex in front of Webber, with Heikki Kovalainen (McLaren) and Massa (Ferrari) also benefiting from their KERS boost to jump to third and fourth positions, ahead of Button and Vettel. Button dived inside Massa to take fourth at the start of lap two, but Kovalainen proved a tougher hurdle and the Brawn remained bottled up behind the McLaren until the points leader made his first of three stops on lap 13. Meanwhile Webber’s aggressive move towards Barrichello off the grid had attracted the race stewards’ attention, and it was soon announced that he would receive a drive-through penalty. He served this on lap 14, just as Rubens was making his first pitstop, and with the slower Kovalainen and Massa having bottled up the rest of the pack, Webber was able to emerge in the lead. The Australian then pulled away during the five laps he still had before his first scheduled stop, while his likely challengers stared at the back of Massa’s Ferrari, which was not due to pit until lap 25. This effectively neutralised Webber’s penalty and brought him straight back into contention for race victory, especially as he was only making two pit stops, whereas the Brawns were to pit three times. As those on long first stints finally pitted, Barrichello led again, but had lost a lost of time following Massa until the Ferrari stopped – and now had Webber closing on him rapidly despite the Red Bull being heavier, such was the latter team’s pace advantage today. When Barrichello was delayed by fuel rig trouble at his second stop, Webber was left with a clear lead over his team-mate Vettel, who had jumped Massa at the first stops, then extended his advantage with a handful of laps a second quicker than the field before easing off, his overdue win secured. The Brawns’ third stop guaranteed that they would fall behind not only Massa, but also Nico Rosberg (Williams), who had crept into contention in the queue behind the Ferrari early on, then gained a lot of ground thanks to a long first stint and some very rapid mid-race times, duly taking fourth from P15 on the grid. Button caught Barrichello in the third stint and then jumped ahead at the final stops, after which the duo tried to chase down Rosberg while simultaneously coming under pressure from the flying Fernando Alonso. The Renault driver appeared destined for the midfield as he spent lap after lap trapped behind the one-stopper of Timo Glock following his first stop, but once he had passed the Toyota, Alonso really came alive – setting the fastest lap of the race even on heavy fuel following his last stop. However despite his best efforts, he could not get around the Brawns at the end. 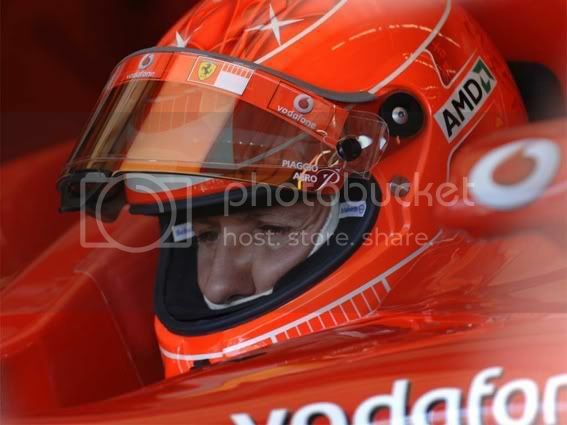 A short first stint and long middle stint did not work well for Kovalainen, dropping him from his early third to eighth at the finish, as he fended off pressure from Glock, Nick Heidfeld (BMW Sauber), Giancarlo Fisichella (Force India) and Kazuki Nakajima (Williams). Fisichella had briefly run in the top eight thanks to a bold early charge on a three-stop strategy, while Glock made up for his pitlane start following yesterday’s poor qualifying and blocking penalty by running 37 laps on his first tank of fuel. His Toyota team-mate Jarno Trulli went in the opposite direction – pitting for repairs on the first lap and never featuring afterwards. Kimi Raikkonen had run close behind team-mate Massa until retiring with a loss of power, shortly after an incident with Adrian Sutil that ended the German’s chances of taking Force India’s first points. Sutil was driving superbly in the first stint – tagging on behind the Ferraris and then running as high as second thanks to staying out until lap 27 before pitting. But as he rejoined, Adrian made contact with Kimi at the first corner that destroyed his front wing, forcing another stop. In the end after a promising start, finishing in P15 was not want he wanted. The day, however, belonged to Webber as Advance Australia Fair played at the end of a Grand Prix for the first time since Alan Jones won in Las Vegas back in 1981. 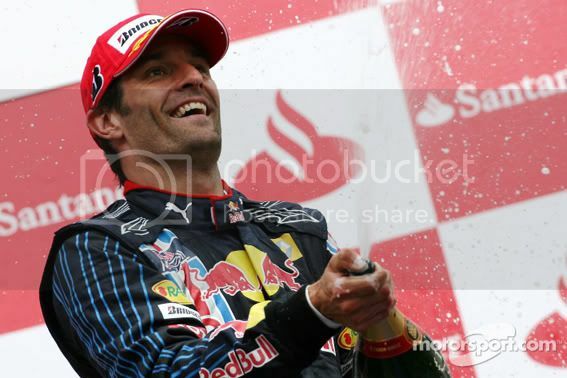 It was superb victory in the most trying circumstances, and Webber thoroughly deserved his maiden success. Button still leads the world championship with 68 points, but now Vettel is second with 47, Webber third with 45.5 and Barrichello drops to fourth on 44. 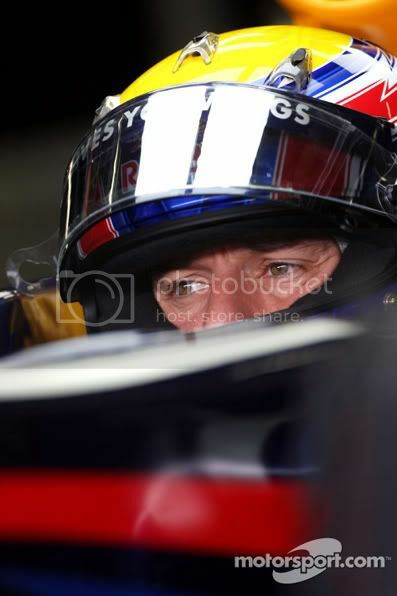 Red Bull Racing’s Mark Webber achieved his first ever pole position in Formula One after mastering the tricky wet conditions during qualifying at the Nurburgring. The Australian set a lap time in the RB5 with one minute, 32.230 seconds to pip Brawn GP’s Rubens Barrichello by 0.127 seconds. Championship leader Jenson Button will start third, while Silverstone winner Sebastian Vettel could only manage fourth place in front of his home crowd. As for the McLarens, this German Grand Prix weekend has reveal new found confidence in the MP4-24 all thanks to new aero updates like a revised double diffuser, engine cover and front wing. Though these aero updates would only applied to Lewis Hamilton’s car and the world champion thus delivered the results needed for the Woking squad with a fine fifth position (equalling his best grid spot this season). Team-mate Heikki Kovalainen also recorded an impressive lap time despite not running the aero kit with sixth. The Finn even survived a brush against the wall during the chaotic Q2 session. The big winner of the rain-affected qualifying session was Adrian Sutil. Not only did the Force India driver got through to Q3 for the very first time, the young German even out-qualified the likes of Felipe Massa, Kimi Raikkonen and Nelson Piquet Jr to record a superb seventh position. The session started dry but during the end of Q1, few spots of rain hit the race track. At the start of Q2, the heavens opened and all hell broke lose! Several cars went spinning in an attempt to stay on the circuit and it was fascinating to see the differences in strategies made by the pit crew on which Bridgestones the drivers should run. Rubens Barrichello made the decisive call by sitting out the wetter early minutes of Q2 and then immediately recording the fastest lap by running on slicks when the track was beginning to dry out. That key moment helped the Brazilian to progress into Q3 while all his rivals had to scrabble around with a lack of grip as the rain came down again in the final minutes. The biggest casualty of the late-Q2 lottery was Renault’s Fernando Alonso, who spun at the chicane on what should have been his best lap. The Spaniard quickly recovered but was unable to improve from P12. Thus Nelson Piquet Jr made it through into Q3 and for the first time this season, the young Brazilian has out-qualified his more experienced team-mate. Both BMW Saubers were eliminated early with Nick Heidfeld taking P11 followed by an extremely disappointed Robert Kubica. The Polish driver will start the team’s home race in P16. Kazuki Nakajima spun on his out-lap in Q2 but recovered unscathed to qualify in P13, beating his team-mate Nico Rosberg, who took P15. In between the Williams pair is the Toyota of Jarno Trulli. The Italian’s team-mate Timo Glock had a dreadful session, making several errors even on a dry track in Q1 and ending up P19, alongside the under-pressure Sebastien Bourdais, who went off at the first corner on his last flying lap as the rain arrived. It was a session marked by the intermittent rain but after 6o thrilling minutes, one man rise above all to set the quickest time around the challenging race track. Can Mark Webber translate this maiden pole position – the first for an Australian since Alan Jones back in 1980 – to race victory on Sunday? Or will we see the likes of Button and Vettel score another win in their fierce battle for the championship? What about Lewis Hamilton, in the much rejuvenated McLaren? Can the world champion claim a popular victory thanks to his high grid position and aero updates? The forecast for tomorrow’s German Grand Prix will be wet, so be prepare for the unexpected as the season reaches its halfway point.